ALL JOBS AT ALTEC, INC.
Altec customers invest in a relationship that spans the lifetime of the equipment. The service technicians back up this promise with the most complete and comprehensive service and support in the industry. We are looking for service technicians who want to join a company that places importance upon the value of teamwork, quality, integrity and enjoyment of work. If you are an experienced electronic, engineering or hydraulic technician, mechanic or FPS certified mobile service technician, and you are ready for your next big challenge, consider joining the Altec team. 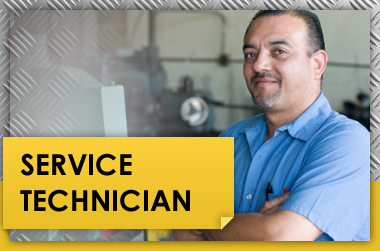 We currently have jobs in our hydraulic, electronic, and engineering departments for technicians and mechanics. Aspiring technicians must have at least 1-3 years of experience with Altec equipment or with a similar utility equipment company, and all incoming technicians must pass five Altec technician courses. Our equipment mechanics are responsible for minor repairs to rebuilds and remounts and remounts and conduct annual preventive maintenance inspections. If you have a strong work ethic and technician, electronic, engineering, or hydraulic experience, browse through our jobs today to join Altec!